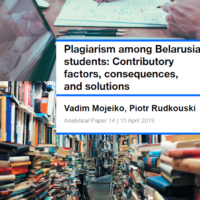 Belarus Digest with its sister project Belarus Profile is launching a new series of publications primarily devoted to changes in the Belarusian nomenclature. Every two months, Belarus Profile Digest will cover the most important recent appointments and dismissals and examine emerging trends in Belarus. In November, Lukashenka made a number of appointments which show a new trend is developing. Many of the new appointees are young and all of them were born in Belarus. Another noticeable trend can be seen in the appointment of the first vice-ministers as ministers, as happened with the ministers of finance and housing and communal services as well as the previous appointment of the Minister of Information. The former Minsk mayor, the Chairman of the Customs Committee and the Minister of Defence belong to an older generation of officials and are likely to get new appointments soon. The Belarusian bureaucratic system usually keeps even failed officials. This is due to the isolation of the nomenclature and the reluctance of young people to join it. Andrej Raŭkoŭ became the new Minister of Defence after the dismissal of Juryj Žadobin earlier this month. He lacks work experience in the ministry – according to Lukashenka “that can be an advantage”. Previously he commanded the troops of the North-Western Operational Command. Raŭkoŭ comes from Belarus. This is a break from the typical pattern in the country where people born outside of Belarus and educated in Russia have traditionally dominated the leadership of the military, police and the KGB. Andrej Šorac replaced the previous head of the Minsk City Executive Committee​ Mikalaj Ladućka. Šorac​ is 41 so he is younger than a majority of senior officials. Over the past three years he served as minister of housing and communal services and prepared reforms in this arena. The civil society group 'Group on Housing Reforms', which included Šorac​, exposed a lot of weaknesses in the housing and communal services of Minsk and his recent appointment may be tied to their work. Aliaksandr Cierachaŭ became the Minister of housing and communal services and the youngest minister in Belarus. Cierachaŭ is 36, he worked in the Homel Region Executive Committee and served as the first deputy of Šorac​ in the Ministry of Housing and Communal Services for the last three years. Uladzimir Amaryn became the new Finance Minister. He is an insider in the ministry: Amaryn has been working in the financial system in Belarus since 1983, and from 2008 till 2014 he played the role of the First Deputy Minister of Finance. During the appointment Lukashenka advised Amaryn to follow the law and be careful: "Under no circumstance should you do what you must not do, under the order of a prime minister or deputy prime ministers as that destabilises the relationships in the ruling hierarchy." Jury Siańko replaces Aliaksandr Špilieŭski​ now leads the State Customs Committee. 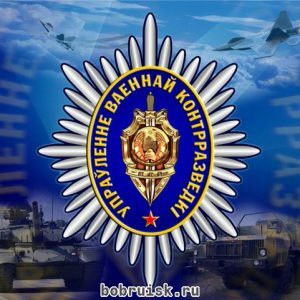 Starting as an inspector in the Hrodna Region Customs, he rose to become the boss there, and over the last three years, led the Minsk Region Customs. According to Lukashenka, "Belarus has become the only transit corridor from east to west, so be ready to work in a new environment." Lukashenka also spoke about the need to increase customs revenues. 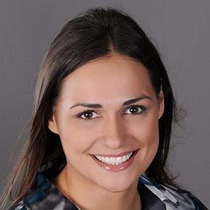 Natallia Ejsmant became press secretary of Alexander Lukashenka. Ejsmant​ worked as a journalist for the state broadcasting company and recently turned 30. For several years the post of press secretary has remained vacant. It should be noted that Natallia Piatkievič​, an influential assistant to the president, launched her own career through this very post. Although officially Alexander Lukashenka cannot elect the head of the Federation of Trade Unions of Belarus, of course, he makes final decision. Michail​ Orda became the head of the Federation of Trade Unions of Belarus in October. Orda led the Belarusian Republican Youth Union, a pro-Lukashenka youth organisation – under his leadership the BRYU conducted protests at the Western embassies. He served as a member of the House of Representatives and got under the EU visa restrictions. Following the appointment of the head of the Federation of Trade Unions, the EU removed Orda from the "black list". As a result of new appointments a number of former top officials remain in the "reserves". Juryj Žadobin headed the Ministry of Defence since 2009 and has long had a reputation of being an old-timer in the Belarusian political system. Previously he led the Presidential Security Service, the Committee for State Security and the State Secretary of the Security Council. In 2009 Lukashenka said to Žadobin that was worse than all of the previous State Secretaries and appointed him instead to become the Minister of Defence. Mikalaj Ladućka officially supervised Minsk City Executive Committee for four years, although he actually performed this duty even more due to the illness of the previous mayor. People will remember him for increasing housing density and demolition of historic buildings. Lukashenka also repeatedly criticised Ladutska for excessive bureaucracy in relations with investors. Aliaksandr Špilieŭski​ headed the State Customs Committee for 13 years. However, in recent years, the income from the collection of duties saw basically no growth, a phenomenon that can be linked with Špilieŭski’s resignation. Špilieŭski​ is known for his conflicts with the Belarusian media and his Russian counterpart, with whom he had a running dispute concerning the Customs Union. When the head of the Russian customs service asked Shpileuski why Russia should 'feed' (subsidise) Belarus, the Belarusian head of the Customs Service advised him to be accurate in his assessments. The future of Špilieŭski, Ladućka and Žadobin remain unknown, but it appears that they will remain in the ruling elite. Moreover, even a disgraceful dismissal does not preclude someone from getting a governmental post in the future. Many stories confirm this thesis. Piotr Prakapovič remains the best example. During his reign at the National Bank the financial crisis of 2011 unfolded. However, soon after his dismissal Prakapovič became an assistant to the president, and now holds the post of deputy prime minister. In 2003, Lukashenka dismissed Michail Rusy, Minister of Agriculture, for the falsification of accounting data and according to Lukashenka a "mockery of the peasants". But now Rusy holds the post of deputy prime minister in charge of agriculture. The isolation of the nomenclature remains one of the reasons for the recycling of bureaucrats. People in the nomenclature should be loyal to the president, so many professional and democratic people left the bureaucracy in the 90s. Opposition politicians Aliaksandr Milinkievič and Andrej​​ Sannikaŭ serve as examples. The truth is, Lukashenka simply lacks new people to replace incompetent bureaucrats. Bureaucratic work in Belarus enjoys little popularity among people in their 30s and 40s. As economic analyst Siarhiej​​ Čaly said "nobody wanted to be a minister." Moreover, the salary is low, and on average ministerial employees in Minsk earn about $1,000. The recent appointments of at least a few young people to ministerial positions became a sign that the Belarusian elite may be capable of regeneration. When taking a look at the KGB's official position on Hajdukoŭ, his tactics look rather ridiculous in an era of digital technology. For one, he allegedly hid secret information for foreign agents in a mail drop box. Nevertheless, he was tried and sentenced to 1.5 years in prison on a less serious charge – an attempt to establish contacts with a foreign agency, or in his case, with the US embassy.